A recently published ‘Get Into Rugby’ report from World Rugby and Asia Rugby, highlighting Associate Nations, has ranked the UAE as fifth in the world for rugby participation at youth level. 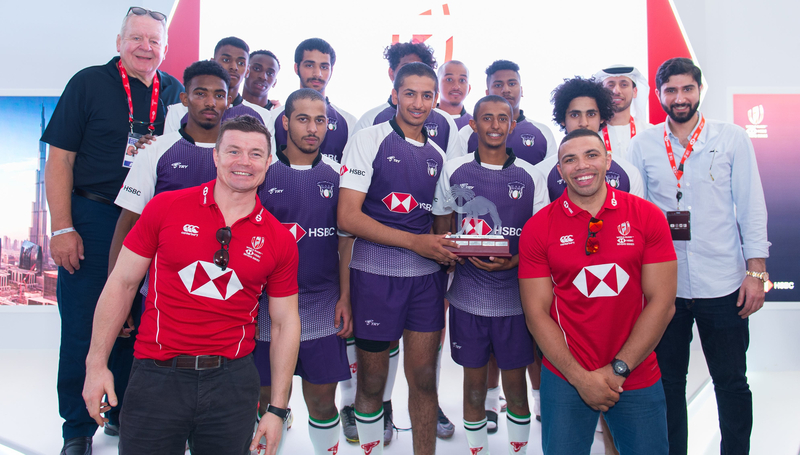 Earlier this year, UAE Rugby entered into a landmark agreement with the UAE Ministry of Education which saw World Rugby’s ‘Get Into Rugby’ (GIR) programme form part of the Physical Education curriculum in Emirati schools across the UAE. In 2018, 107,001 boys and girls were involved in UAE Rugby’s Player Pathway Programme, 39 per cent of which are girls. Currently, UAE Rugby takes the sport into 208 schools across the country. Qais Al Dhalai, secretary general of the UAE Rugby Federation, said: “Our agreement with the Ministry of Education is a first for the region and undoubtedly cements the UAE’s position as a leader in development and sustainability of the grassroots game across both the GCC, and Asia. “This is evident through our being recognised and being ranked as fifth in the world, an achievement we are very proud of. Asia Rugby’s ‘Asia 1 Million Project’ has just reached its mark, and we are delighted to have been a major contributor to this achievement. Next Wales coach Wayne Pivac has rejected Sir Clive Woodward’s claim that he has lost focus ahead of succeeding Warren Gatland next year. World Cup-winning coach Woodward wrote in his newspaper column last weekend that Scarlets boss Pivac should have “taken a sabbatical” when his move to Wales was announced in July. The Scarlets reached the semi-finals of the European Champions Cup last season, with Pivac’s side being heralded for their exciting brand of rugby. The Scarlets were also crowned Guinness PRO12 champions in 2017 under Pivac, but they are currently bottom of their European pool having lost their four group games, and have won only six times in 14 matches across all competitions this season. But Pivac, who will succeed fellow New Zealander Gatland after the 2019 World Cup next autumn, dismissed Woodward’s suggestion that the Scarlets’ form was the result of him landing the Wales job. “You know how long our seasons are but I don’t think many people would drop from a 100 to 90 per cent in their effort,” Pivac said. “Most coaches are pretty proud people and I don’t know too many who would just give up on a job with 12 months to go. “We do a lot of hard work and go through a lot of highs and lows. “People are obviously going to look at our results, we look at them harder than anybody else does so we’re well aware of where we’re at. Pivac will adopt a watching World Cup brief before his reign begins with a November game against the Barbarians in Cardiff. Wales will then head into the 2020 Six Nations Championship and a summer tour, which has yet to be confirmed. 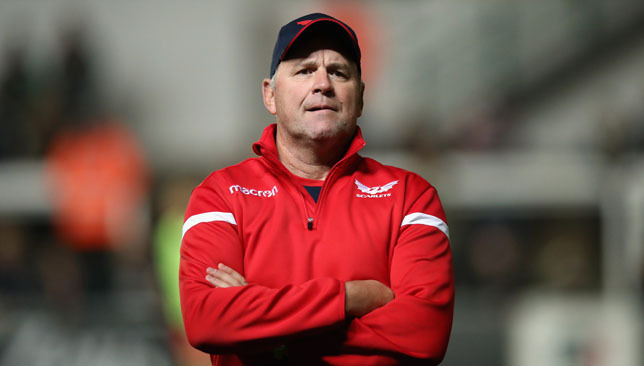 Pivac filled key positions on his backroom staff on Wednesday when Stephen Jones, his number two at the Scarlets, and Jonathan Humphreys were respectively named as backs and forward coaches. Neil Jenkins, Wales’ all-time record points scorer and kicking coach, and Paul Stridgeon, the WRU’s head of physical performance, will also remain on board after Gatland’s 12-year reign comes to an end. Wales captain Alun Wyn Jones turns 34 on the eve of the World Cup, and it remains to be seen whether the 120-times capped second row will prolong his international career under Pivac. “Those are big questions,” Pivac said when asked about Jones’ future. “He’s a world-class player and whilst his performances are such, then he’s going to be one of the first names on any coaches team sheet. Asked whether he expected many retirements after the World Cup, Pivac replied: “I’ve had the opportunity to speak to some individuals and they’re all excited about their rugby at the moment, which is really important. “Forget what the birth certificate says, it’s really about how old you feel and how invigorated you are. 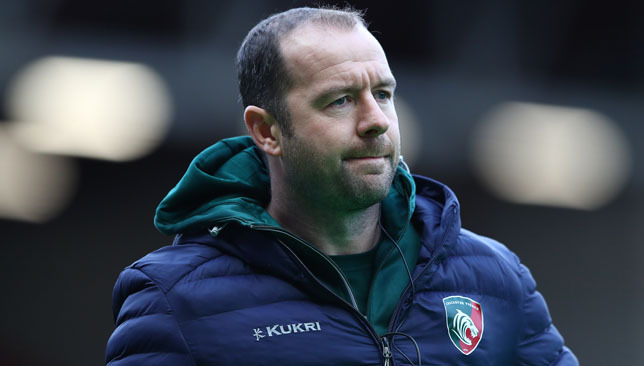 Leicester have announced the permanent appointment of Geordan Murphy as head coach. The 40-year-old had been holding the position on an interim basis since the opening weeks of the season. “It is a huge honour to be asked to be head coach at a club I know so well,” Murphy told the club’s website. Murphy joined the Tigers as a player in 1997, scoring 93 tries in 322 games on the way to eight Premiership titles and two European Cups. He also represented Ireland 72 times and played in two Tests for the Lions before moving into coaching at Leicester in 2013. “This club means a lot to me, I’ve been here a long time and we all want to enjoy success with the Tigers,” Murphy added. “For me, performances on the field begin with the pride, passion and commitment you want to see from a Leicester Tigers team. It is about that passion for the shirt. “We’ve had a challenging start to the season and we are working hard to improve performances and results, but this is also the start of a journey for this coaching team and playing group. There is a lot of quality there and we still have everything to play for this season. “We are looking at how and what we can add to the coaching team in terms of experience and quality, and it has to be the right fit for the team. Leicester are currently eighth in the table with three wins and six defeats from their nine matches so far.